Marcelle Kaufman and Denis Thieffry edited a special issue in honor of René Thomas in JTB (2019): "Regulatory circuits: from living systems to hyper-chaos - A special issue dedicated to the memory of René Thomas": Journal of Theoretical Biology (special issue). 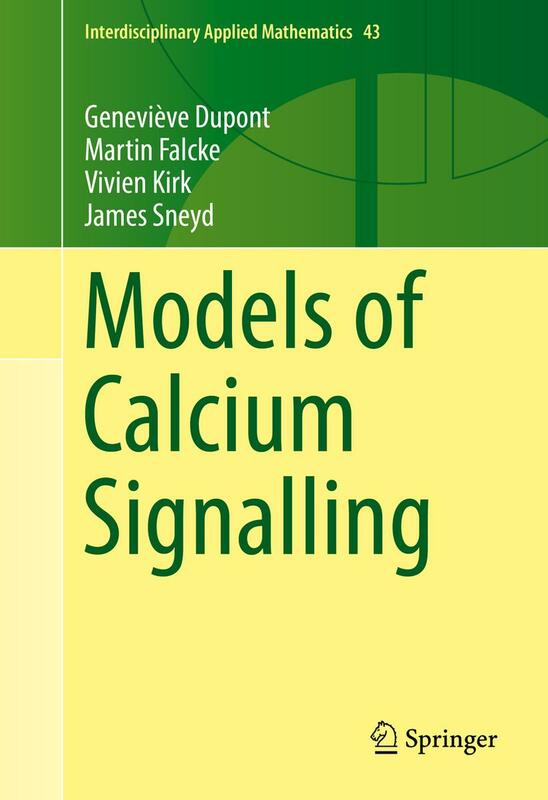 Benjamin Wacquier successfully defended his PhD thesis in September, 2018. Congratulation Benjamin! 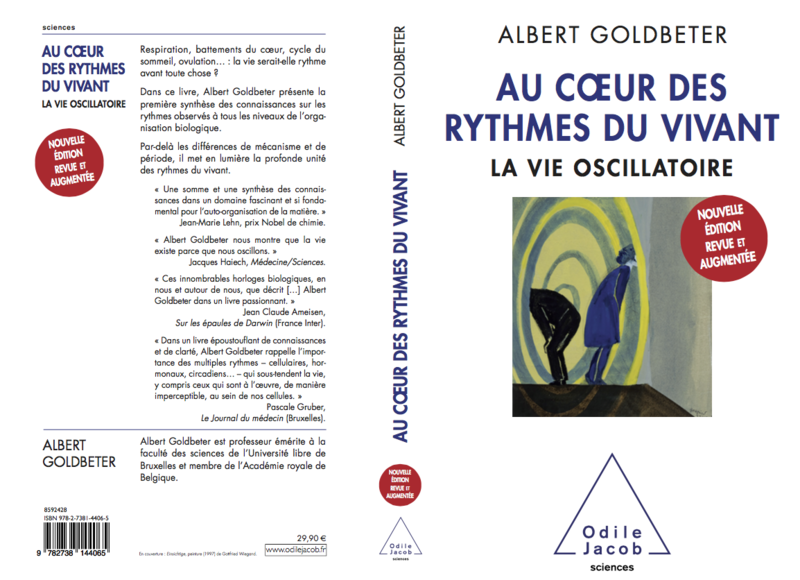 Albert Goldbeter published a new edition of his book "Au coeur des rythmes du vivant. La vie oscillatoire" (nouvelle édition revue et augmentée, 416 pages, Ed. Odile Jacob, Paris, 2018). 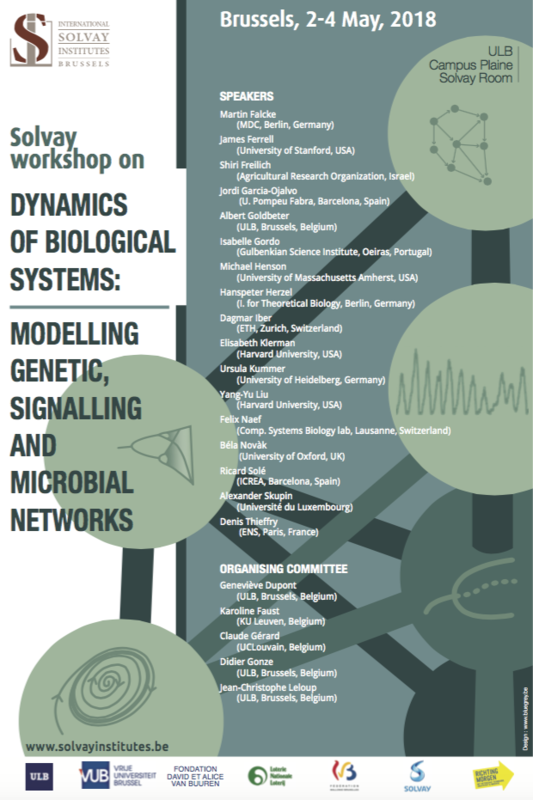 We are organizing a Solvay workshop on "Dynamics of biological systems: Modelling genetic, signalling and microbial networks" on May 2-4, 2018 (more infomation here). Ruqiang Zhang (Nanjing University) joined the lab in September 2017 as a visiting PhD student. Welcome Ruqiang! Didier Gonze, together with Karoline Faust and Leo Lahti, organized a Summer School on "Ecological Network Inference and Analysis" in September 2017 in Leuven (details here). Joëlle De Caluwé successfully defended her PhD thesis in May 2017. Congratulation Joëlle!